The 49ers Museum presented by Sony at Levi’s® Stadium has a Hollywood connection right in its lobby. And, no, we’re not talking about Colin Kaepernick’s 3D image welcoming you into the building. A Margaret Keane painting of original San Francisco 49ers owner Tony Morabito hangs outside the museum’s Morabito Theater. Keane, of course, is the subject of the in-theaters movie “Big Eyes,” starring Amy Adams, which memorializes the artist’s unique style and unusual conflict with her husband. Walter Keane publicly took credit for creating his wife’s art before being sued by her for slander. The authorship of this work was never in doubt. 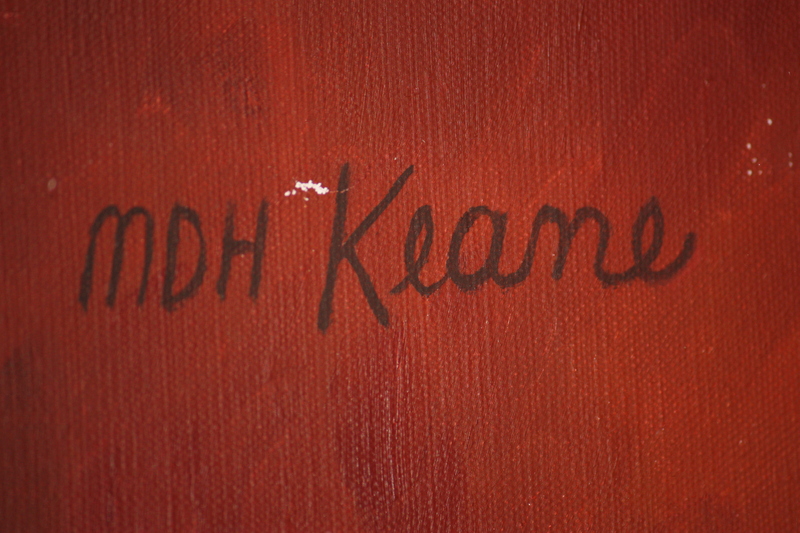 Keane’s “MDH” signature is in the upper-lefthand corner of the Morabito portrait, and the team founder’s eyes reflect her patented style. The painting is on loan to the museum by 49ers Hall of Fame running back Joe Perry’s widow, Donna, in whose home the work hung for several decades. 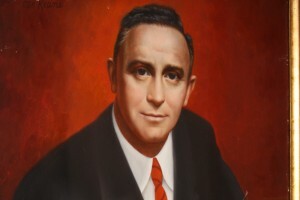 Keane, who currently resides in nearby Sonoma County, was also commissioned to paint Perry and fellow 49ers Hall of Fame member Leo Nomellini. These paintings are the property of Canton, Ohio’s Pro Football Hall of Fame. Some of her art can also be seen at an exhibit in Santa Clara’s Triton Museum of Art. 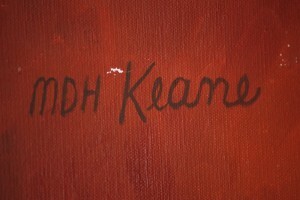 To see the 49ers Museum’s unique Keane work, plan your visit here. Research contributed by Museum specialist Beth Atlas.